On Wednesday, California scientists walked up into the mountains in search of snow. What they found were mostly barren, brown meadows, and the world’s saddest snow surveying plot. Since Oct. 1, valley rains and mountain snows that typically greet the start of California’s water year have failed to materialize, shunted to the north by a huge ridge of high pressure. 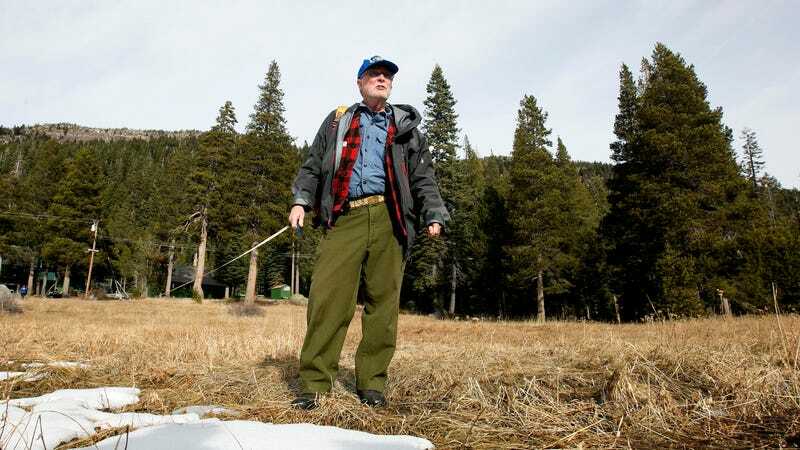 That meant Frank Gehrke, the the California Department of Natural Resources’ snow surveyor in chief, had to trade in skis for hiking boots as he traversed the meadow near Phillips, a normally snowy outpost about eight miles south of Lake Tahoe’s rim. “Clearly November and December have been disappointing,” he said at a press conference later that day announcing they had measured a measly 1.3 inches of snow on the ground. Melted, that amounts to just 0.4 inches of snow water equivalent, or just three percent of normal compared to what Gehrke and his fellow snow aficionados expect to find at this particular snow measurement site 6,800 feet above sea level. Tamarack Flat, a more shady area about two miles to the west, had 10 percent of its normal snow. The field measurements are largely ceremonial at this point, but electronic sensors located across the spine of the Sierra Nevada mountains tell a similar sad story. Snowpack across the state sits at just 24 percent of average. The southern Sierras are the driest of the lot, with snowpack at just 20 percent of normal. The light rain and mountain snow that slid into northern and central California on Wednesday and lingered into Thursday morning should spruce up the Phillips snow site. But Southern California largely remains a black hole for precipitation, a pattern reminiscent of five drought years that preceded the wet winter of 2016-17. Downtown Los Angeles has had its fourth-driest start to the water year (which begins Oct. 1) since record keeping began in 1877. Just 0.12 inches of rain have fallen. 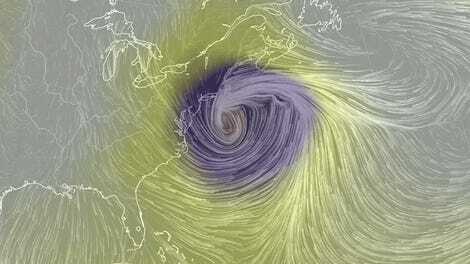 The chief snow killer is a monster atmospheric ridge that’s been camped over the state. “[That’s] reflective of that blocking high pressure system that’s been pummeling the Midwest and the East Coast with storms that should be coming to California,” Gehrke said. Which OK, buddy. You want some of this snow, come get it. It’s not like we were asking for it or the cold that came with it. Along with the southern Sierras, the Four Corners region has also been suffering from a severe lack of snowpack and rain. The good news, for California at least, is that things can change in a hurry. Atmospheric rivers, huge plumes of moisture that can extend across the Pacific and dump copious quantities of snow, are responsible for 50 percent of California’s precipitation. A few of those can quickly build snowpack and make up for these early season deficits. And January and February are both primetime for atmospheric rivers to form. Unfortunately, the long-term forecast does not bode well for California either. The three-month forecast from the National Oceanic and Atmospheric Administration calls for increased odds of dry, warm weather. That forecast is in part due to La Niña, a cooling of waters in the tropical Pacific that rearranges weather around the globe. In the U.S., La Niña tends to favor warmer and drier weather for much of the southern third of the country, and cool, wet weather in the Northwest, including atmospheric rivers. The southern part of the state isn’t even lucky enough to be on that fringe, and it’s possible that this dry start to the water year could be a sign of what’s to come. Climate change is heating things up, causing more snow to fall as rain and more rain-on-snow events, which can eat away at snowpack needed to recharge reservoirs throughout the dry summer. As the planet keeps warming, atmospheric rivers are projected to become more intense but also warmer, translating to more overall precipitation but less snow so that even in wet years, lower snowpack is possible. The only silver lining is that last year’s wet winter means the state has a buffer to work with compared to during the five-year drought that preceded last year. What Is This &apos;Bomb Cyclone&apos; Thing About to &apos;Blast&apos; the East Coast?